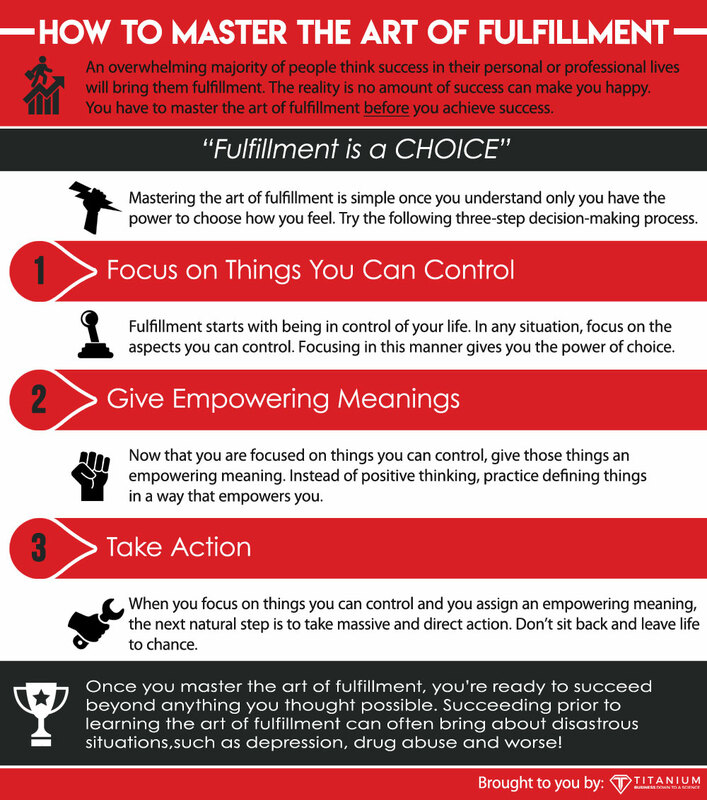 Success and fulfillment is the most important topic covered by the Titanium Life podcast. Most people assume success comes before fulfillment. You feel like when you get to a certain level of success, you’ll finally be happy. This simply isn’t true. Most people spend their entire lives chasing success. The reality is happiness before success is the key to fulfillment. There is an order of operations to everything in life. You have to learn to be happy with where you are now before you achieve professional success. 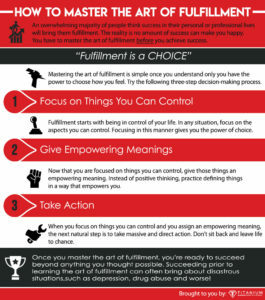 In fact, attaining success before learning the art of fulfillment can have a devastating effect on your life. It all starts with how you define success. For most of us, success is something defined by our parents, family, or friends. You probably never sat down and defined success for yourself. What you’re doing is living in someone else’s world. You have no guarantee achieving such success will even bring you fulfillment. You have to define success on your own terms. What type of success will bring YOU the most fulfillment? If you don’t answer this question, you’ll never be happy no matter how much money you make. This is a really interesting quote. The first part is saying he has everything. If I could coach him, I would ask if a 2.5 billion dollar company is really everything. I would suggest that it is only a small piece of the pie for him. Even billionaires can be unhappy if they don’t understand the art of fulfillment. I lived the mistake of chasing success before achieving fulfillment for years. Financial freedom was my goal and I achieved it as a 16-year old kid. I started a successful business at 16. It made me miserable, and borderline depressed. Why? Much of the same reasons the founder of Minecraft pointed out. I would call my friends to go to the movies, and they would say they couldn’t afford to go. I paid for their gas money and movie tickets. Eventually, they started to feel bad. It made me feel like I didn’t have friends. Ultimately, I had to look in the mirror and realize the reason I wasn’t fulfilled was me. Once I had the money to do whatever I want, there were no excuses for me being unhappy. It wasn’t my circumstances. It was me. Another excuse I see people make is thinking a successful romantic relationship will make them happy. Then, they find the person they’ve been waiting for their entire lives. They look around and realize they’re still unhappy. It’s an eye-opening moment. The only person who can fill the void inside is you. The key to achieving happiness before success is understanding happiness and fulfillment are only one decision away. You have to decide to change the things you focus on, and then assign empowering meanings to the things you do focus on. Fulfillment is a decision. Look for empowering meanings to the things around you. Last night, I was driving and looking at the moon. I was amazed by how beautiful the moon was. Little things like this add up towards you making different decisions and taking different actions. You’ll really benefit from the secrets I share with you in later episodes of the Titanium Life podcast once you master the art of fulfillment. They will help you achieve success in your relationship, finances, career, and any other areas of your life. These tools are useless, though, without understanding the concept of happiness before success. There will always be good news and bad news. My challenge to you today is to start focusing on the empowering things around you. Be the best you can be while also being happy with who you currently are. A peak performance coach can help you figure out how to live for today while pursuing everything you want in life. Schedule a consultation with Titanium Success to learn more. Arman Sadeghi’s Titanium Life Podcast is a truly life changing force that encompasses every aspect of life. Topics covered are Business/Career, Health, Wealth, Relationships, and overall Fulfillment and Happiness. 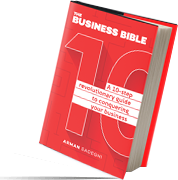 For more information go to https://titaniumsuccess.com/ or Arman’s next Titanium Live event!